Venezia feather eye mask is painted blue and gold with glitter accents. 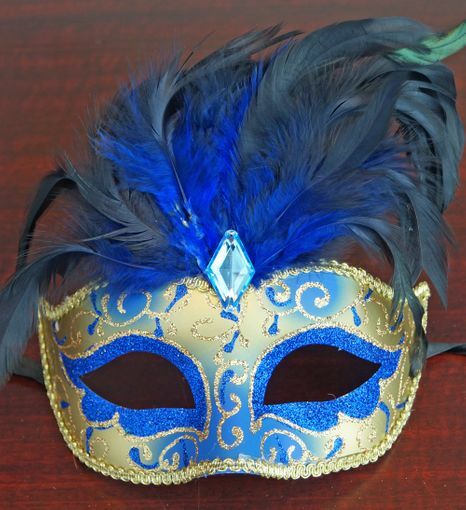 This Venetian mask comes six different colors blue, black, purple, red , white , and lavender. Mask size without feather 6"L x 3"W.